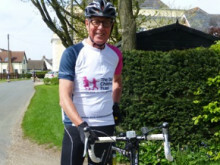 A fundraising father will be undertaking a 100 mile cycle, raising money to thank The Sick Children’s Trust for supporting his family while his son was seriously ill in hospital. Gregg Thompson, 35, from Essex, will be cycling 100 miles in the Prudential RideLondon-Surrey 100 on Sunday 31 July, to raise money for The Sick Children’s Trust, a charity that provides free support and ‘Home from Home’ accommodation for families with sick children in hospital. In 2010, Gregg’s one-year-old son George was taken to hospital after burning himself with hot tea. Soon after being sent home, his burns became infected and he went into a state of toxic shock. He was rushed to Great Ormond Street Hospital (GOSH), where he was resuscitated and put on a life-support machine. While George was in intensive care, his parents were able to stay just a few minutes away from him, at The Sick Children’s Trust’s ‘Home from Home’ Rainbow House. “Rainbow House looked after us. It meant that while George was so sick and fighting for his life, we could be by his side throughout it all. We were never more than 100 yards from his bedside and we could get much needed rest and meals during those anxious days, which helped us be there for him 100%. 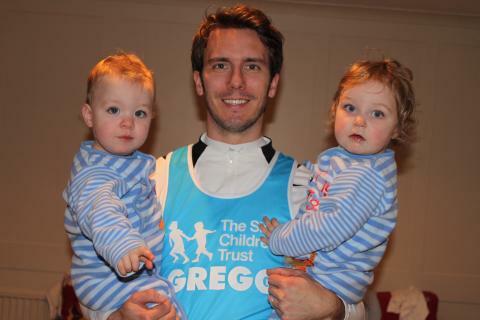 “It is great to have Gregg fundraise for us again – he has gone above and beyond in supporting The Sick Children’s Trust, raising vital funds to provide support for families with seriously ill children. He has already raised over £5,000 this year, which will make a huge difference to other families staying in one of our ten ‘Home from Home’ across the country. The Sick Children’s Trust runs three ‘Homes from Home’ in London. 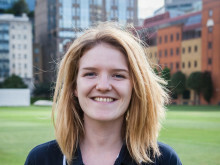 Alongside Rainbow House, Guilford Street House also supports the families of seriously ill children at GOSH, and Stevenson House supports those with children at The Royal London Children's Hospital. 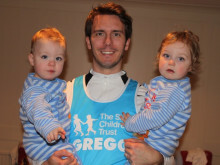 If you would like to support Gregg, please visit https://www.justgiving.com/fundraising/Gregg-Thompson6.